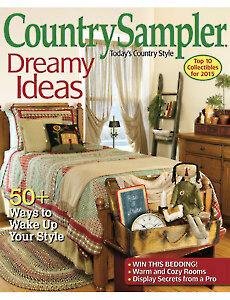 Come in from the cold to the cozy homes and classic decor in this winter issue of Country Sampler. Tour a handful of welcoming residences, including a new house with rustic details, a collection-filled Georgian, a folk artist’s custom saltbox and an 1890s farmhouse featuring a Colonial look. 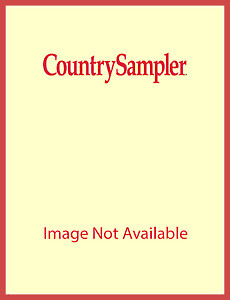 See the year’s list of the 10 hottest country collectibles, from vintage feed sacks to charming silhouette portraits. Discover a shopkeeper’s secrets for arranging perfect displays. Get expert tips for choosing a color palette for your home. Excellent my wife loves them. The only thing is that the mail carrier stuffed them in mail box and bends them all up and other than that there great.